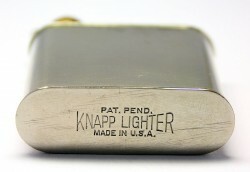 The American classic design lighter Knapp lift-arm. It produced around 1920. 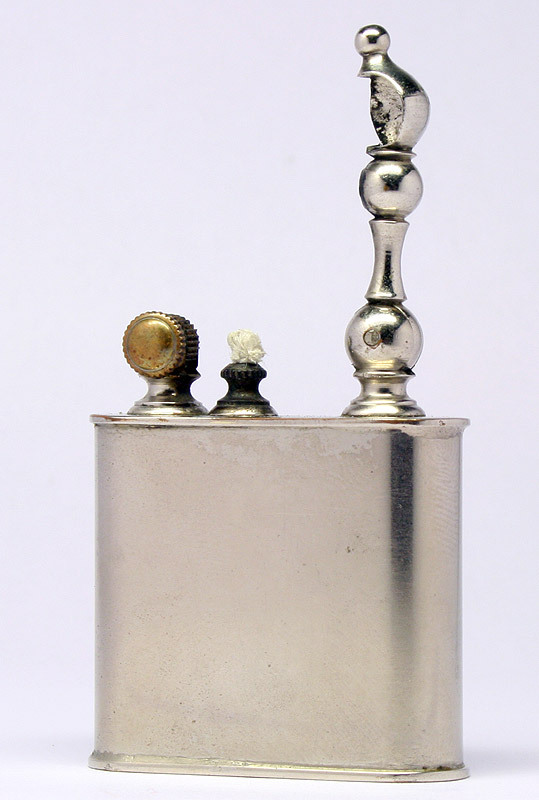 About her early header from the origin of said instruction «How to change the cerium (flint)» - while for invented in 1909. 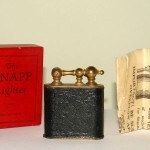 Silicon is not always stuck actual word "flint", and then he is called "the old fashioned way." 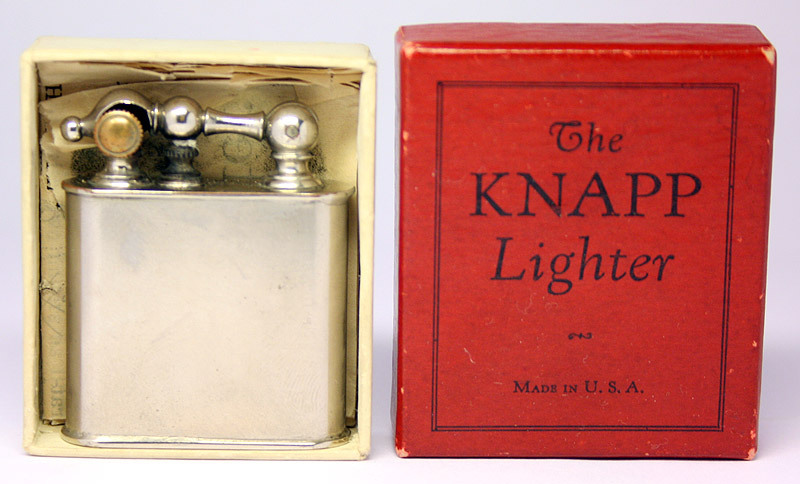 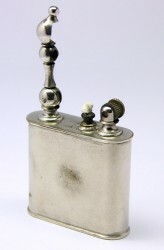 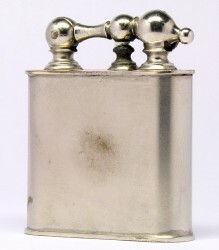 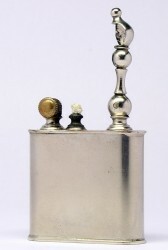 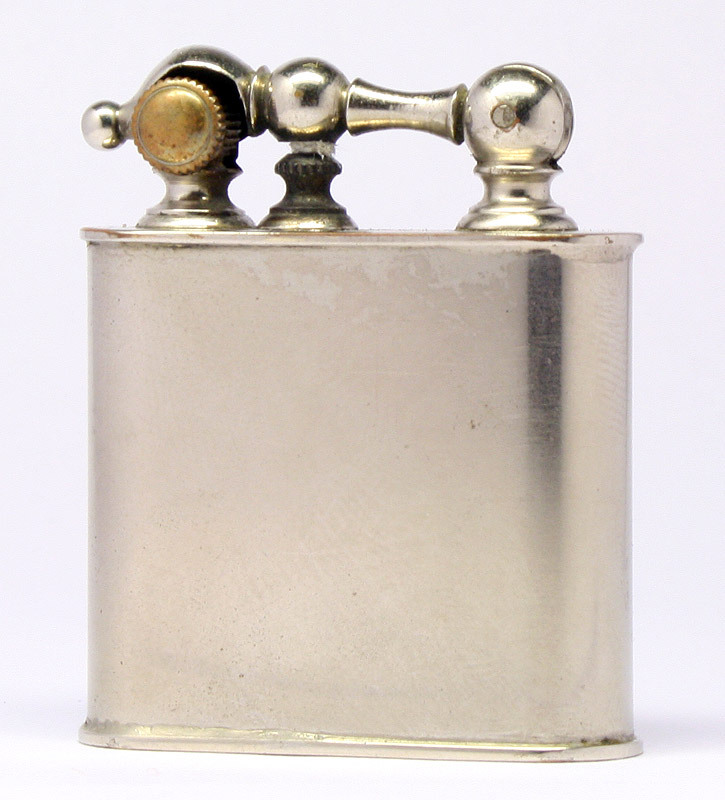 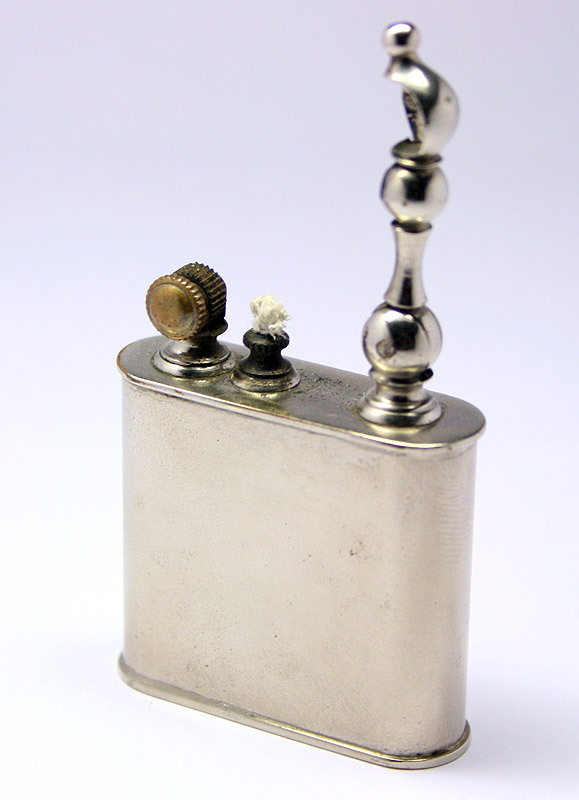 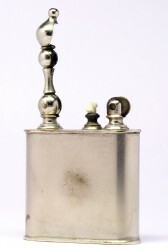 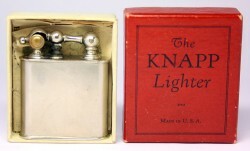 Lighters Knapp often results in the skin, but in many instances it has not survived to the present day. 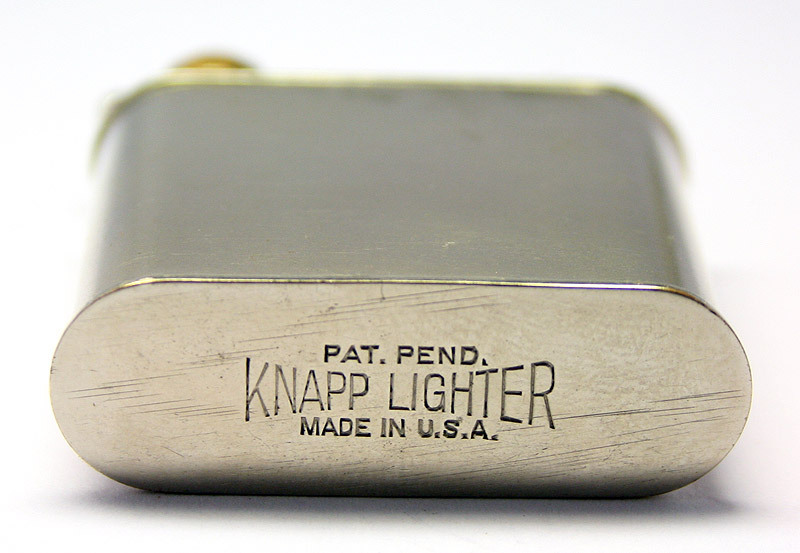 Inventor Raymond S.Knapp received several patents for their lighters in the late 1920s.